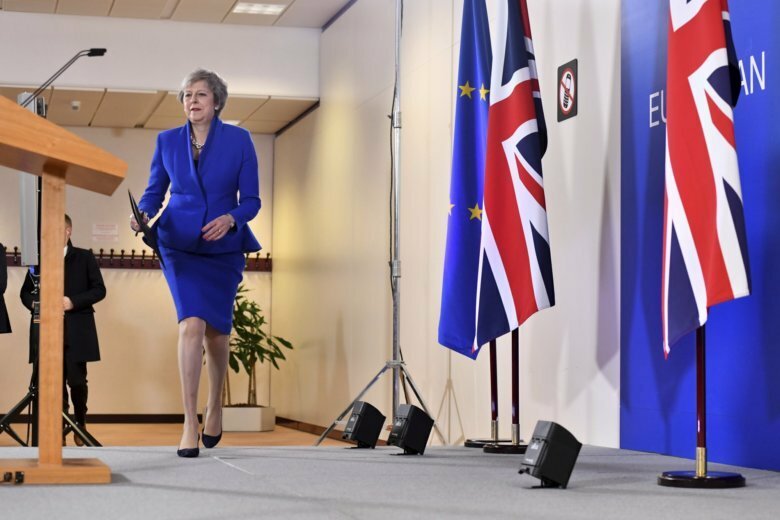 LONDON (AP) — Britain and the European Union have signed their divorce papers, but that’s not the end of the 45-year relationship. It’s just the start of a British political battle over the separation. Now the deal must be approved by the U.K. Parliament, where no party has a majority and lawmakers range from burn-the-bridges Brexiteers to reconciliation-seeking supporters of the EU. Legislators on both sides hate the deal, a compromise that keeps Britain outside the EU with no say but still subject to the rules and the obligations of membership at least until the end of 2020 while a permanent new relationship is worked out. Prime Minister Theresa May said Monday that Parliament will vote on the deal Dec. 11. Brexit Secretary Stephen Barclay has admitted that winning the vote will be “challenging.” There are 650 seats in the House of Commons. After the Speaker and other non-voting members are subtracted, 318 votes are needed for a majority. May’s Conservatives have 315 seats, but dozens of Conservative lawmakers have said they will reject the deal, either because they want a harder or a softer break with the EU. May’s political allies in Northern Ireland’s Democratic Unionist Party also oppose it, and the main opposition Labour Party says it will vote against the deal, because it does not offer the same benefits Britain currently has as a member of the EU. She is gambling that, in the end, lawmakers will back an imperfect deal rather than send Britain careening toward the Brexit cliff-edge without a deal — an outcome that could bring financial turmoil, gridlock at U.K. ports and shortages of essential goods. If Parliament approves the deal, May will have secured a major victory, and Britain will be on course to leave the EU at 11 p.m. London time — midnight in Brussels — on March 29. Very little will change immediately. Britain will remain inside the EU’s rules and institutions during a transition period until a new trading relationship is put in place. The transition is due to end in December 2020, and can be extended by up to two years. If the deal fails in Parliament, things get complicated. The only certainty is that the government must make a statement within 21 days saying what it plans to do next. The government could hold a second parliamentary vote, hoping that a period of market and business panic at the prospect of a disorderly exit will have changed lawmakers’ minds. May and EU leaders insist that renegotiation is impossible — it’s this deal or no deal. Many British lawmakers are unwilling to accept that. They think the EU could be persuaded to back different terms. But there’s no consensus on what those terms should be, and it’s unclear what mechanism could be used to make the government renegotiate. Some think May will have to resign if she loses the vote, triggering either a Conservative leadership contest or a national election. But a new prime minister would face the same problem — the clock ticking down to a “no-deal” Brexit and no agreement on what to do next. A growing number of pro-EU lawmakers are calling for a new referendum, giving the public a choice between leaving and staying in the bloc. But it’s unclear whether a majority of lawmakers could be persuaded to back the idea, and there would not be time to hold the plebiscite before the U.K’s scheduled departure date. The European Parliament must also ratify the agreement, but that looks less problematic. The assembly’s president, Antonio Tajani, said a “large majority” of European parliamentarians support the deal. He said the vote would probably be in February, but could be as late as March.